Apple announced today that it will help researchers recruit medical research participants through ResearchKit, a software medical platform that will turn the iPhone and HealthKit into diagnostic tools. ResearchKit will be released next month as an open source platform, but Apple will release five disease-specific apps today. Those apps include an app to track Parkinson’s disease symptoms. With it, anyone with an iPhone can contribute to Parkinson’s research, Williams said. A second app will help people who suffer from asthma track how often they use their inhaler. This was already possible with HealthKit, but the data will now be sent to Mount Sinai Hospital in New York City, Apple’s asthma app partner. 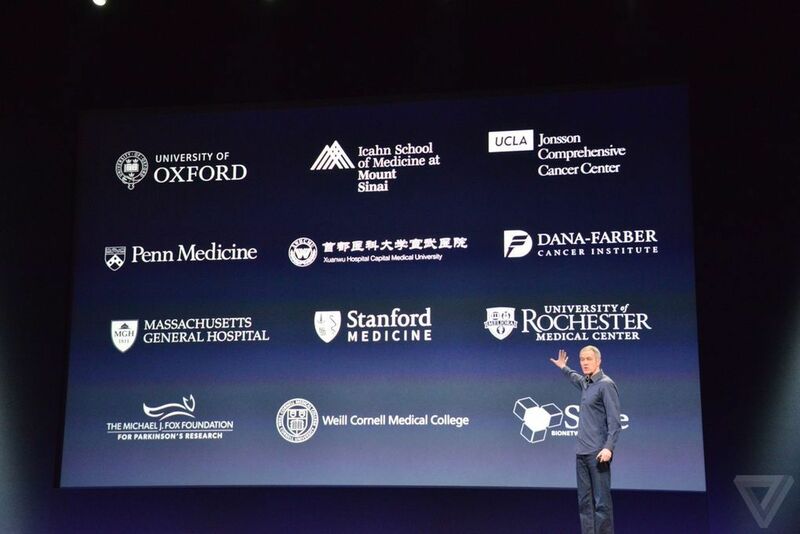 A first look at Apple’s ResearchKit partners shows big names like the University of Oxford, Stanford Medicine, and the Dana-Farber Cancer Institute. Because the platform hasn’t been released yet, it’s hard to know exactly how it will work, but it looks like users who opt-in will be able to send data gathered through the HealthKit app to medical researchers who partner with Apple. That data could include things like blood pressure, weight, blood glucose levels, as well as a user’s exercise habits. The apps will also make it easier for study participants to respond to surveys on a regular basis. The data that’s shared through the ResearchKit platform won’t be shared with Apple, Williams said. Finding participants for clinical trials can be very difficult, even for researchers at top universities and clinics. It’s very likely that Apple’s partners are hoping ResearchKit will make recruiting from diverse populations a lot easier.